Mehnaz Begum Pakistani Ghazals Singer. She was great legendary Singer of Pakistan, she created great name in Pakistan Music. Mehnaz Begum was born on 1950 and she was very popular her great talent, and she was well known and famous among masses. She was great legendary Pakistan Folk Music, Classical Music Artist, she sung in Pakistan Film Industry he lot of great songs still are very famous in all over Pakistan. She has won the Nigar Award for Best Female Playback Singer 13 times. She was awarded Lifetime Achievement Award by Lux Style Awards. 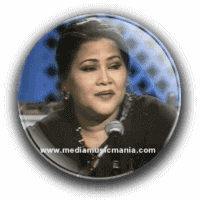 This great legendary singer was died on 19 January 2013.